North Korea on Wednesday abruptly postponed scheduled high level inter-Korean talks and threatened to pull-out of the summit with the US, taking issue with the ongoing South Korea-US joint military drill and “unfair” demands on denuclearization. 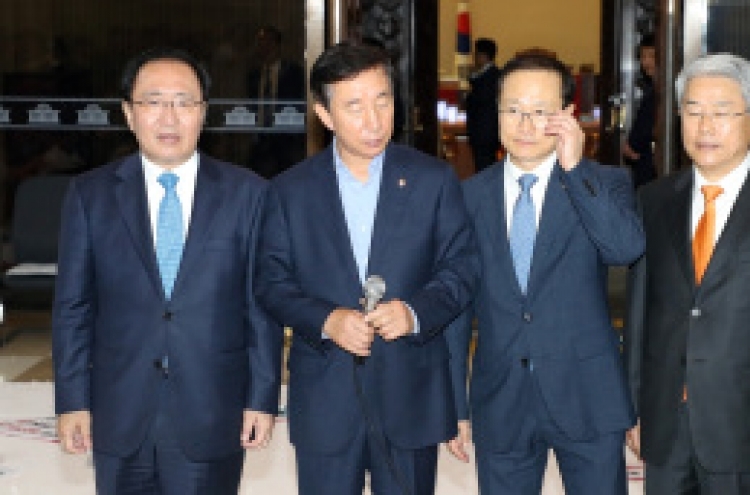 According to Seoul’s Ministry of Unification, the North’s chairman of the Committee for the Peaceful Reunification of the Country Ri Son-gwon delivered a message shortly after midnight. In it, Ri criticized the drills and indefinitely postponed the high-level talks which were only hours away. The ministry expressed regret over the North’s unilateral decision, saying that the move does not fall in line with the spirit of the Panmunjeom Declaration. Later in the day, a top North Korean official issued a statement saying that Pyongyang would have no choice but to reconsider the US-North Korea summit if denuclearization is demanded of the regime unfairly. The announcement of North Korea’s unilateral decision to postpone the high-level inter-Korean talks took the allies by surprise, as the North had appeared to accept the drills as part of the South Korea-US alliance. In response, Cheong Wa Dae said that the government was working to decipher North Korea‘s true message, and its intentions for delaying the inter-Korean dialogue which was scheduled to be held earlier in the day. 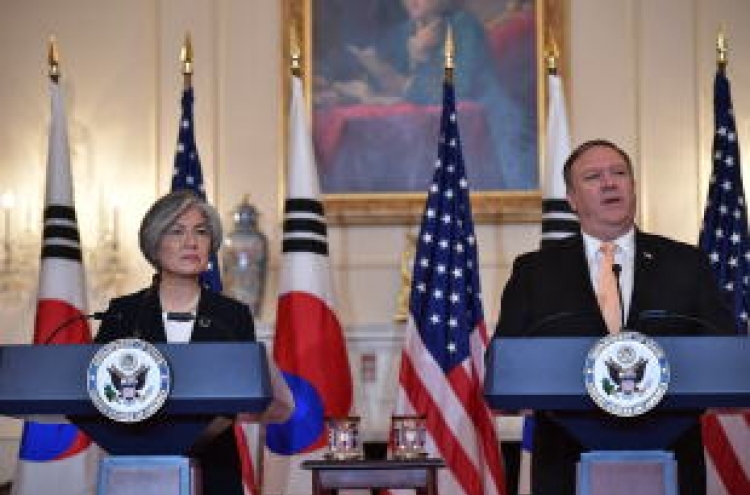 South Korean Foreign Minister Kang Kyung-wha also discussed the postponement with US Secretary of State Mike Pompeo over the phone, explaining Seoul’s position and highlighting the government’s resolve to implement the agreements made at last month’s inter-Korean summit. 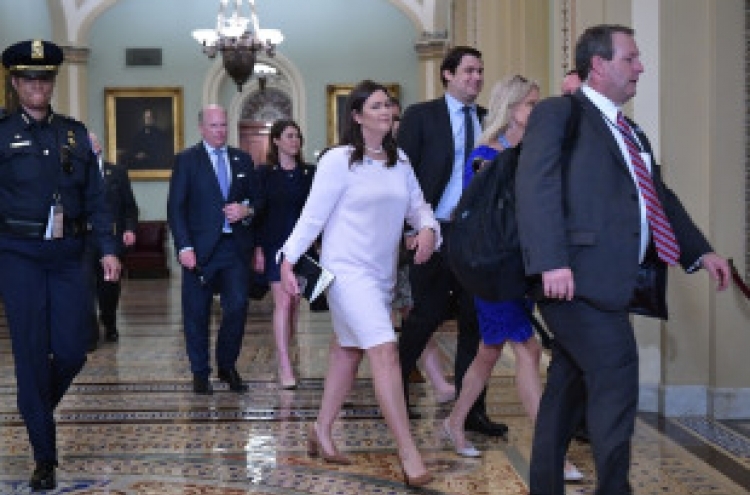 Pompeo was quoted as saying that Washington would continue preparations for the meeting between US President Donald Trump and North Korean leader Kim Jong-un in Singapore on June 12, while monitoring further reactions from the North. In a statement issued by the KCNA later in the day, North Korea’s Vice Foreign Minister Kim Kye-gwan said the country was not interested in any talks that would involving being forced to give up its nuclear arsenal. 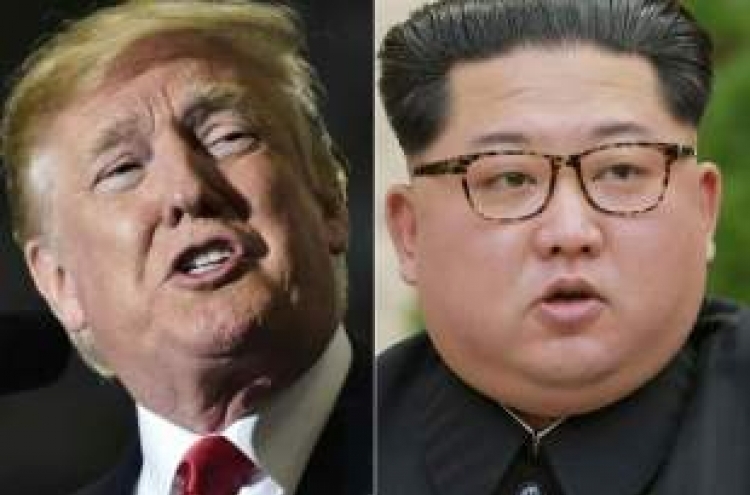 “If the U.S. is trying to drive us into a corner to force our unilateral nuclear abandonment, we will no longer be interested in such dialogue and cannot but reconsider our proceeding to the DPRK-US summit,” he was quoted saying in the statement released in English. Kim also urged Washington to enter the talks with sincerity, which would be met by a “deserved response” by the North. Expressing displeasure with the US raising previous methods of denuclearization, including the Libyan model, Kim said it is “absolutely absurd” to compare a country whose nuclear weapons program was in the initial stages with the North, which is already in possession of a nuclear arsenal. Kim reiterated Pyongyang’s demand for security guarantee, demanding the US end its “hostile policy and nuclear threats” against the regime, saying that North Korea has already expressed its intention to help create a denuclearized Korean Peninsula. He also made it clear that the North has no interest in a quid pro quo deal in which the US provides economic benefits in exchange for the North giving up its nuclear weapons program.